A short article summarizing the history and transformation of the CNT’s Defence Committees in Barcelona during the 1930s from their origins as street fighting units to their reorganisation as integrated combat/intelligence formations, to their suppression by the Republic after the working class defeat of May 1937. The defence cadres were formed shortly after the proclamation of the Republic, and were a continuation of the armed defence groups of the years of pistolerismo. Already during the course of the Asturian insurrection, the National Committee of Defence Committees (CNCD) confirmed, in a conference presentation, the failure of the insurrectionary tactic, popularly known as “revolutionary gymnastics”, to which it attributed the CNT’s lack of preparedness to intervene, at the national level, in the insurrection of October 1934. The time had arrived to discard this tactic because it had proven how absurd and dangerous local insurrections were when they took place at an inopportune moment and without serious previous preparation, since it left the libertarians subject to state repression without achieving either a popular extension throughout the country or the support of other organisations, which would be necessary in order to successfully confront the military and repressive apparatus of the state. The worst thing about it, however, was the fact that the repression had dismantled the clandestine military apparatus of the CNT, after the insurrections that took place in January and December 1933. In October 1934, when the conditions were ripe for a revolutionary proletarian insurrection on a national scale, the anarcho-syndicalists were totally exhausted, disorganised and disarmed, with thousands of their militants in prison. The CNCD considered “that we have to recognize the great importance that the Defence Committees have for the CNT and the libertarian revolution, and devote ourselves to the uninterrupted study of their structures in order to improve them and provide them with the economic and moral and technical means that will confer upon them the greatest efficacy with regard to obtaining the desired goal as quickly and as efficiently as possible”. The clandestine military apparatus of the Defence Committees must always be subject to the orders and the necessities of the CNT: “the Defence Committees will be an organic modality attached to the CNT.” The presentation structured the Defence Committees on the basis of “volunteer militants”, just as participation in the specific organisations, that is, the FAI and the Libertarian Youth, was considered to be voluntary. But it was never forgotten that the Defence Committees were the clandestine military organisations of the CNT, financed by the trade unions, which “shall establish a dues quota that will be delivered to them [the Defence Committees] on a monthly basis via the confederal Committees of each locality or county district”. The presentation of the CNCD, delivered in October 1934, argued that the group or cadre of basic defence must be relatively small in order to facilitate its secrecy and flexibility, as well as to ensure a profound knowledge of the character, understanding and skills of each militant. It must be composed of a secretary, whose basic task was to maintain links with other groups from the same neighbourhood, and to form new groups. A second militant must be responsible for identifying and recording the name, residence, ideology, distinguishing features, and habits of, and the nature of the threat posed by, enemies living in the area assigned to the group. It was thought that this figure of six militants was the ideal number to form a defence group or cadre, without failing to take into consideration the possibility that, in certain cases, another member could be added in order to carry out “special supplementary” tasks. The Presentation recommended that the quantity of cadres should be subordinated to their quality, and that the militants must be men who can be characterized as “discreet and active”. The defence groups, then, after October 1934, were characterized by the reduced size of their basic unit, six militants, each of whom was responsible for quite specific tasks. The secretary of the group maintained links with the other groups in the same neighbourhood. They were groups for information gathering and combat that must perform “the role of a just revolutionary vanguard” that “will directly inspire the people”, that is, at the moment of the insurrection they must be capable of mobilizing more numerous secondary groups, and these, in turn, must try to mobilize the entire population. The defence group was the basic cell of the clandestine military structure of the CNT. In each neighbourhood a neighbourhood defence committee was to be formed, which would co-ordinate all these defence cadres, and would receive a monthly report from each of the secretaries of the groups. The secretary-delegate of the neighbourhood defence committee would then draft a summary report that he was to deliver to the District Committee, and the latter would in turn transmit it to the Local Defence Committee “and the latter would forward it to the Regional and then the National Defence Committees, respectively”. This organisational schema, suitable for major cities, was simplified in the towns and villages, where the different groups were co-ordinated directly in the local committees. The Presentation even provided a detailed account of how and where “defence groups or defence cadres are formed, seeking the human elements in the Trade Unions and distributing them throughout the neighbourhoods of the industrial cities, assigning to each group an operational territory designated on the map of the city, an area that it may not leave without express authorization”. The degree of detail and precision that went into the formation of these Defence Committees is notorious. The Presentation recommended that the groups should be formed of men from the same trade union, or professional category, “not for the purpose of maintaining relations with or remaining dependent on their Trade Unions, since they are at the exclusive disposal of the Defence Committees for the purpose of carrying out the missions that the Defence Committees resolve to undertake”, but because this “method has the virtue of transforming these militants, grouped within the Defence Committees, into guardians of principle within the Trade Unions and in order to keep an eye on the internal and public actions of the Trade Unions”. The Presentation of the CNCD also set forth a detailed description of the Defence Committees on a regional and national scale, including those sectors of workers, such as railroad workers, trolley conductors, telephone and telegraph workers, postal workers, and, in short, all those who due to the characteristics of their profession or organisation are active on a national scale, emphasizing the importance of communications in a revolutionary insurrection. A special department was dedicated to the labour of infiltration, propaganda and winning sympathizers in the barracks. After considering the need to constantly discuss and perfect the insurrectionary plans and tactics of the Defence Committees at a local, regional and national level, and formalizing the connection with the FAI, the Presentation concluded with an appeal to the members of the CNT to consider the importance of consolidating, extending and perfecting a clandestine military apparatus of the CNT, “to confront the military and police leviathan of the state and the fascist or Marxist militias”. The defence cadres were mostly trade union members. After July 19-20 some of these trade union cadres formed centuries of the Popular Militias, which immediately departed to fight against fascism on the Aragón front. This is why, within the various confederal columns, one spoke of the century of the metal workers, or the century of the woodworkers, or of the construction workers, formed of militants from the same trade union. Acquisition, maintenance, storage and training in the use of weapons. The authority of the Defence Committees was based on their character as armed organisations. Their power was the power of the workers in arms. Logistical responsibilities in the fullest sense of the term, from the provision of supplies and managing popular kitchens to the creation and operation of hospitals, schools, social centers … or even, during the first days after the popular victory, recruiting militiamen and supplying the columns that were departing for the front. The old defence cadres were formed shortly after the proclamation of the Republic, and could be considered as the continuation, reorganisation and extension of the armed defence groups of the period of pistolerismo (1919-1923). During the thirties the unemployed were enrolled in the defence cadres for rotating terms in order to exercise solidarity by providing them with an income, to prevent them from becoming strike-breakers and to spread the knowledge of the use of arms to the maximum number of militants. For these same reasons, and to prevent their “professionalization”, there were no full-time, permanent paid positions in the defence cadres. Throughout the entire republican phase there were armed pickets and trade union defence groups that defended demonstrations and strikes or promoted local insurrections. The Presentation of the CNCD of October 1934 called for a new organisation and orientation for the defence cadres, which tacitly accepted Alexander Shapiro’s criticisms directed at insurrectional “gymnastics” and the criticisms of the internal CNT opposition, as reflected in the Manifesto of the Thirty. In Catalonia, the practical implementation of this new structure of the Defence Committees was the theme of a presentation organised by the anarchist groups The Indomitables, Nervio, Nosotros, Tierra Libre and Germen, at the Plenum of the Federation of Anarchist Groups of Barcelona, which met in January 1935. This presentation inaugurated the founding, in Barcelona, of the Local Committee for Revolutionary Preparedness. The preamble to the presentation characterized the historical moment as “a period of immense revolutionary perspectives due above all to the manifest incapacity of capitalism and the state to provide any equitable solutions to the economic, social and moral problems that are now overwhelmingly posed”. The international political breakdown after the end of the Great War was highlighted: “More than fifteen years of constant efforts on the part of the leaders of economic life and just as many attempts of a manifold variety on the part of the state, not to forget the so-called dictatorship of the proletariat, have not produced a minimum of tolerable equilibrium for the broad masses, but have only aggravated the general unrest and have led us to the verge of physiological ruin and the threshold of another military hecatomb.” Against the background of a truly horrifying historical panorama—the rise of fascism in Italy, Nazism in Germany, Stalinism in the Soviet Union and economic depression with massive permanent unemployment in the United States and Europe—the presentation offered the hope of the revolutionary proletariat: “In the universal collapse of ideas, parties, and systems, all that remains standing is the revolutionary proletariat with its program of reorganisation of the foundations of labour, of the economic and social reality and solidarity.” The optimism of the authors of the presentation saw the workers movement in Spain as strong enough and capable “of unleashing the final battle against the old edifice of capitalist morality, economy and politics”. The Regional Committees of the CNT must be the co-ordinating bodies for these Local Committees for Revolutionary Preparedness. The latter should meet at special Plenums for the exchange of information, initiatives and experiences. The regional delegates were then supposed to hold meetings on a national level. This Preparedness Committee must never itself seize the revolutionary initiative, “which must always lie with the confederal and specific organisations, since it is the latter which must fix the opportune moment and assume the direction of the movement”. 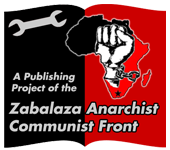 Its financing must be the responsibility of the trade unions of the CNT and the anarchist groups, without “establishing in advance any fixed compulsory contribution”. As for the “formation of combat cadres, in the cities the insurrectionary groups were to be formed on the basis of neighbourhoods, in an unlimited number of nuclei, but the affinity groups that want to maintain their current membership will also be accepted as components of the insurrectionary groups, but they will be subject to the control of the preparedness committee”. Both the presentation of the CNCD in October 1934 as well as that of the anarchist groups of Barcelona, in January 1935, insisted on a new structure for the defence cadres, discarding their former status as mere street fighting groups in order to transform them into defence cadres for a rigorous revolutionary preparation, addressing problems of information, armaments, tactics and investigation prior to the outbreak of a long civil war. From the street fighting groups of the period prior to 1934, the step had been taken to the cadres of information and combat. On July 19-20, 1936, in the midst of the fighting in the streets of Barcelona, when the rebel military units had been defeated, the members of the Defence Committees began to call themselves and were known as “the militiamen”. Without any formal transition, the defence cadres had become Popular Militias. The basic structure of the defence cadres had been designed in order to respond to the need to extend and expand them by means of the incorporation of secondary cadres. All that was necessary was to make room in them for the tens of thousands of working class volunteers who joined the struggle against fascism, and extend their territories to Aragón. The confederal militias became the vanguard of all the armed units that were looking for fascist enemies to attack. They were the armed organisation of the revolutionary proletariat. They were imitated by the other working class organisations, and even by those of bourgeois origin. Because of the absence of a unitary proletarian army, as many militias arose as there were parties and other organisations. These defence cadres underwent a dual transformation. As the Popular Militias, which established the front lines during the first few days on the Aragón front, they introduced the collectivization of the land to the liberated Aragonese villages; and as the Revolutionary Committees, they imposed a “new revolutionary order” in every neighbourhood of Barcelona and every town in Catalonia. Because of the common origin of these institutions in the defence cadres the confederal militias and the Revolutionary Committees would always be united and interrelated. After the victory over the fascist and military uprising in Catalonia, the Defence Committees of each neighbourhood (or town) formed Revolutionary Neighbourhood (or municipal) Committees, assuming a wide array of names. These Revolutionary Neighbourhood Committees, in the city of Barcelona, were almost exclusively composed of CNT members. The municipal Revolutionary Committees in other locations, however, were often formed by the incorporation of all the working class and anti-fascist organisations, imitating the composition of the Central Committee of Anti-Fascist Militias (CCMA). They confiscated buildings in order to install Committee headquarters, warehouses for provisions, social centres or rationalist schools. They confiscated and operated hospitals and newspapers. Armed searches of certain houses in order to requisition food, money and objects of value. Armed searches of certain houses to arrest snipers, priests, rightists and fifth columnists. (We should recall that the “paqueo” of the snipers in the city of Barcelona lasted an entire week). They set up recruiting centres in every neighbourhood for the Militias, which they armed, financed, supplied and paid (up until the end of August) with their own means, and each neighbourhood maintained even after May 1937 a very close and constant relationship with their militiamen at the front, welcoming them when they came home on leave. In addition to the storage of weapons at the headquarters of the Defence Committee, there was always a store or a warehouse where the neighbourhood supply committee was installed, which was stocked with the proceeds of requisitions of food carried out in the rural areas by way of armed coercion, exchange or purchase with vouchers. Imposition and collection of the revolutionary tax in every neighbourhood or municipality. The supply committee established a popular kitchen, which at first was free, but after a few months, faced with scarcities and the high cost of food products, it was necessary to introduce a system of coupons subsidized by the Revolutionary Committee of the neighbourhood or the municipality. At the headquarters of the Defence Committee there was always a room devoted to the storage of arms and sometimes a small lock-up in which detainees could be temporarily held. The Revolutionary Committees exercised important and quite varied administrative tasks, extending from the issuance of vouchers, food coupons, travel permits, and safe-conduct passes, the formation of cooperatives, the celebration of weddings, and the supply and maintenance of hospitals, to the confiscation of food, furniture and buildings, the financing of rationalist schools and social centres managed by the Libertarian Youth, payments to the militiamen and their families, etc. The co-ordination of the Revolutionary Neighbourhood Committees was carried out at the meetings of the Regional Committee, attended by the secretaries of each Neighbourhood Defence Committee. There was also a permanent Confederal Defence Committee with its headquarters at the Casa CNT-FAI. With respect to all matters relating to the confiscation of large quantities of money and valuable objects, and in relation to all those tasks involving arrests, information and investigation that surpassed the means of the Revolutionary Neighbourhood Committees, they were referred to the Investigation Service of the CNT-FAI, directed by Manuel Escorza from the Casa CNT-FAI. With respect to the recruitment of militiamen (in July and August) and the supply of the popular militias (up until mid-September) they answered to the CCMA. With respect to the supply of food and other basic needs they were responsible to the Central Supply Committee. With respect to organisation and resolution of problems, they were subordinated to the Regional Committee of the CNT, which issued orders and directives for them to follow. This reflects the famous dependence on the trade unions and the negation of the autonomy of the defence cadres, resolved at the Presentation of 1934. They were co-ordinated and shared experiences in a Defence Committee of Barcelona, which was nothing but the organisational level above the district committees. This institution was hardly operational. With regard to questions of information, investigation, persecution of fifth columnists and other armed “police” work, they were responsible to the Investigation Service of the CNT-FAI. The defence cadres, organised territorially in zones that were very carefully delineated with respect to the zones of other groups, composed of six members each, with very precise tasks of intelligence, espionage and investigation, were the primary clandestine armed organisation of the CNT. These primary cadres were to be joined during the course of the insurrection by secondary groups of trade union militants, the affinity groups of the FAI, the members of the social centres, etc. After July 19, the tasks relating to intelligence, espionage directed against the enemy, and investigation of the forces and leadership of the class enemy, were co-ordinated by the Investigation and Intelligence Services of the CNT-FAI, while the other tasks were co-ordinated in meetings of the secretary-delegates of each neighbourhood committee held with the Regional Committee at the Casa CNT-FAI. The real achievement of the CCMA, in its nine weeks of existence, was to facilitate the transition from a network of Local Revolutionary Committees, which exercised all power in the streets and the factories, to its dissolution for the exclusive benefit of the full reestablishment of the power of the Generalitat. The Decrees signed on October 24 ordering the militarization of the Militias as of November 1, and the Collectivization Decree, rounded out the disastrous balance sheet of the CCMA, that is, the transition from a network of working class Militias composed of revolutionary volunteers to a bourgeois army of the classical type, subject to the monarchical code of military justice, directed by the Generalitat; and the transition from the workers expropriations and workers control in the factories to a centralized economy, controlled and directed by the Generalitat. The Decree ordering the militarization of the Popular Militias aroused a great deal of discontent among the anarchist militiamen of the Durruti Column, stationed at the Aragón Front. After long and bitter debates, in March 1937, several hundred volunteer militiamen, posted in the Gelsa sector, resolved to abandon the front and return to the rearguard. It was agreed that the replacement of the militiamen opposed to militarization would be carried out over a period of fifteen days. They abandoned the front, taking their weapons with them. When they arrived in Barcelona, together with other anarchists (defenders of the continuity and intensification of the July revolution, and opponents of confederal collaborationism with the government), the militiamen of Gelsa (Zaragoza) decided to constitute an anarchist organisation, distinct from the FAI, the CNT and the Libertarian Youth, whose mission would be to guide the acratic movement by the revolutionary path. The new Group was formally constituted in March 1937, after a long period of incubation that lasted for several months beginning in October 1936. The directive Junta chose to call the organisation “The Friends of Durruti Group”, a name that was chosen partly with reference to the common origin of the former militiamen of the Durruti Column, and which, as Balius pointed out, was not adopted with reference to the ideas of Durruti, but rather in the light the popular mythology that had grown up around his name. This revolutionary opposition to the militarization of the Popular Militias was also manifested, to a greater or lesser degree, in all the confederal columns. Especially outstanding, due to its importance outside of Catalonia, was the case of Maroto, condemned to death for his refusal to militarize the column that he commanded, a penalty that would not be carried out but which nonetheless kept him in jail. Another important case was that of the Iron Column, which on various occasions had voted to “descend upon Valencia” in order to drive the revolution forward and confront the counterrevolutionary elements in the rearguard. In February 1937 an assembly of confederal columns was held which addressed the question of militarization. The threats to withhold arms, food and reinforcements from the columns that did not accept militarization, together with the assurance that the militiamen would be incorporated into other units that were already militarized, had a powerful effect. To many it seemed better to accept militarization and to flexibly adapt their columns to the new situation. In the end, the ideology of anti-fascist unity and the collaboration of the CNT-FAI in government operations, in defence of the republican state, triumphed over the resistance to militarization, which was finally accepted even by the recalcitrant Iron Column. On Monday, May 3, 1937, at around 2:45 in the afternoon, Rodríguez Salas, a UGT militant and devout Stalinist, the chief of the Commissariat of Public Order, attempted to seize the Telephone building in Barcelona. The CNT militants organised fierce resistance thanks to a strategically placed machine gun. The news spread rapidly. Barricades were immediately erected throughout the city. One must not speak of a spontaneous reaction on the part of the Barcelona working class, because the general strike, the armed confrontations with the police forces and the barricades were the outcome of the initiative taken by the Investigation Committee of the CNT-FAI and the Defence Committees, which was rapidly supported thanks to the existence of enormous generalized discontent, the increasing economic hardships occasioned by the rising cost of living, long queues and rationing, as well the tension that existed among the rank and file militants that pitted collaborationists against revolutionaries. The street battles were initiated by and directed from the Neighbourhood Defence Committees (and only partially and secondarily by certain elements in the control patrols). The fact that there was no order from the superior Committees of the CNT, whose members were busy acting as Ministers in Valencia, or from any other organisation, to build barricades throughout the city, does not mean that the movement was purely spontaneous, but that it was a result of directives issued by the Defence Committees. In April 1937, Pedro Herrera, the “conseller” (Minister) of Health in the second government of Tarradellas, and Manuel Escorza, were the CNT officials who were carrying out negotiations with Lluis Companys (president of the Generalitat) to resolve the government crisis that had reached a high point at the beginning of March 1937 due to the resignation of the “conseller” of Defence, the CNT’s Francisco Isgleas. Companys decided to abandon the tactic of Tarrradellas, who could not imagine a government of the Generalitat that was not a government of anti-fascist unity, one in which the CNT did not participate, in order to adopt the tactic advocated by Joan Comorera, the secretary of the PSUC, which consisted in imposing by force a “strong” government that would no longer tolerate a CNT that was incapable of keeping its own militants in line, whom he referred to as “uncontrollables”. Companys was determined to break with his policy of agreements with the CNT, which had become increasingly more problematic, and he believed that the time had come, thanks to the support of the PSUC and the Soviets, to impose by force the authority and decisions of a government of the Generalitat that, as the real situation had demonstrated, was not yet strong enough to cease to negotiate with the CNT. The failure of the discussions held by Companys with Escorza and Herrera, which had not brought about any kind of political solution during two months of conversations and despite the short-lived new government of April 16, led directly to the armed confrontations of May 1937 in Barcelona, when Companys, without notifying Tarradellas (or, of course, Escorza and Herrera) issued the order to Artemi Aguadé, “conseller” of the Interior, to occupy the Telephone building, and the mission was carried out by Rodríguez Sals. The seizure of the Telephone building was the brutal response to the CNT demands and a gesture of contempt for the negotiations carried out during the month of April by Manuel Escorza and Pedro Herrera, as representatives of the CNT, directly with Companys, who had expressly excluded Tarradellas from these meetings. Escorza had the motive and the ability to respond immediately to the provocation of Companys from his position in the Investigation Committee of the CNT-FAI, an autonomous organisation that co-ordinated the Defence Committees and the CNT members who held official positions in the departments of public order. This was the real trigger of the armed confrontations of the May Days. The members of The Friends of Durruti Group were the most active combatants on the barricades, and completely dominated the Plaza Maciá (now the Plaza Real), with all the side streets blocked by barricades, and Hospital Street along its entire length. At the intersection of Las Ramblas and Hospital Street, under an enormous portrait of Durruti draped over the façade of a building in which the Group had its headquarters, a barricade was erected where the Group’s centre of operations was established. The Group’s absolute control over Hospital Street provided access to the headquarters of the Confederal Defence Committee (the central barracks of the Defence Committees), at Los Escolapios on the Ronda San Pablo, and from there to the Brecha de San Pablo, which had been secured by about forty militiamen from the Rojinegra [Red and Black] Column, who, under the command of the Durrutista Máximo Franco had “dropped in on Barcelona” for purposes of “observation and intelligence”, after both the Rojinegra Column as well as the Lenin Column (of the POUM), commanded by Rovira, had yielded to pressure to return to the front, pressure that came from Abad de Santillán and Molina, that is, from the CNT officials who were giving orders from the Department of Defence of the Generalitat in the absence of Isgleas. The confederal masses, disoriented by the appeals issued by their leaders to leave the barricades—the same leaders they had on July 19!—finally chose to abandon the struggle, although at first they had scoffed at the appeals from the CNT leaders for concord in order to preserve anti-fascist unity. The Revolutionary Neighbourhood Committees of Barcelona, which had arisen during the days of July 19-20, 1936, lasted until at least June 7, 1937, when the restored forces of public order of the Generalitat dissolved them and occupied the various headquarters of the Control Patrols, as well as some headquarters of the Defence Committees, such as the Defence Committee of the neighbourhood of Les Corts. Despite the Decree mandating the disbanding of all the armed groups, most of them resisted until September 1937, when the buildings they occupied were systematically assaulted and dissolved, one by one. The last to be occupied, and the most important and strongest, was the headquarters of the Defence Committee of Central Barcelona, located in Los Escolapios de San Antonio, which was taken by assault on September 21, 1937 by Stalinists and the forces of public order, which used, in addition to armoured vehicles, an entire arsenal of machine guns and hand grenades. The resistance of Los Escolapios, however, did not yield to the force of arms, but to the evacuation orders issued by the Regional Committee. From then on the Defence Committees disguised themselves under the name of Sections of Co-ordination and Information of the CNT, and were exclusively devoted to clandestine tasks of intelligence and information, as they were prior to July 19; but now (1938) in a decidedly counterrevolutionary situation. Marcos Alcón, “Recordando el 19 de Julio de 1936. Intuición de la militancia anónima”, Espoir, July 20, 1975. AIT, “Rapport sur l’activité de la CNT d’Espagne (16 décembre 1932-26 février 1933)”. A report written by A. Shapiro, with the assistance of E. Carbó. Introduction and notes by Frank Mintz. Fondation Pierre Besnard (2005). Sara Berenguer, Correspondence with A. Guillamón (2009). Sara Berenguer, Entre el sol y la tormenta, Seuba ediciones, Calella, 1988. Comité Nacional de los Comités de defensa, Ponencia sobre la constitución de los Comités de Defensa, October 11, 1934. Chris Ealham, La lucha por Barcelona. Clase, cultura y conflicto 1898-1937, Alianza Editorial, Madrid, 2005. François Godicheau, La Guerre d’Espagne. République et révolution en Catalogne (1936-1939), Odile Jacob, Paris, 2004. Grupos anarquistas Indomables, Nervio, Nosotros, Tierra Libre y Germen. Comité Local de Preparación Revolucionaria, Ponencia, presentada a la Federación Local de Grupos Anarquista de Barcelona, January 1935. Agustín Guillamón, Barricadas en Barcelona, Ediciones Espartaco Internacional, Barcelona, 2007.